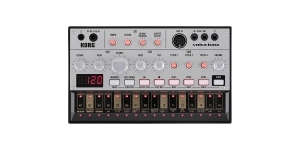 In 2013, the stunning rhythm machine was released - Korg volca beats. 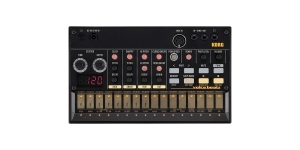 The unrivaled classic Roland TR-808 became its inspiration. Its sound is by no means worse than that of expensive analog machines. The percussion synthesizer has a fully analog path, though Korg pays attention to the fact that the signals are generated digitally, while the CPU has a 10-bit DAC that offers an incredible analog signal resolution. Its body consists of a translucent plastic with a metal front panel, and the dimensions approximately correspond to the usual VHS cassette. Essentially, it is a hybrid block. 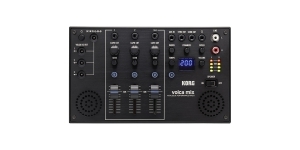 The analog sound engine with digital control equipped with a number of settings and the ability to record data into the sequencer via the MIDI protocol. Some parameters enable MIDI CC which ensures interaction with MIDI controllers. Thus, "Grain", "Stutter" hi-hat, tom release and other parameters can be easily adjusted. 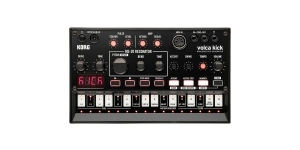 The volca beats sequencer is limited to 16 steps featuring real time recording and fully editable steps. 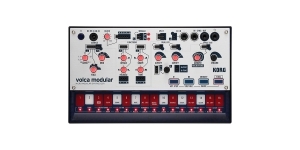 The percussion synthesizer includes 6 analog and 4 types of PCM sounds. 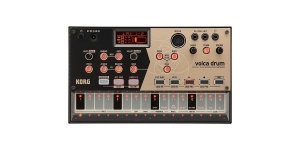 Each of the analog drum sounds can be adjusted with the help of knobs located in the central part of the front panel. Kick can be altered from "click" to a deeper one, and the snare catches your ear with an interesting woody tone which gets more saturated with the addition of PCM clap layering. Apparently, percussion has no limits and you can apply it any way you want. 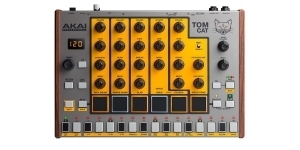 There is a stutter on the left side of the front panel, which, with the help of 2 knobs, can manage a variety of sound effects, such as rolls, gate effects, delay, reverb, bitcrushing and pitch shift. It can be routed to both individual and global drums. 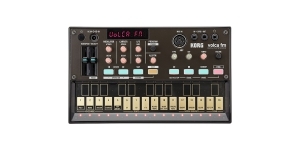 Given the specification Korg company can be really proud, and we can assume that volca beats established a new standard of quality in its price category. 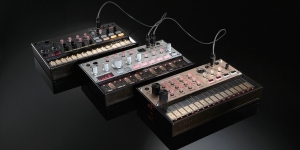 Percussion Synthesizer, Rhytm/ Drum Machine, Bass Synthesizer, Production start: 2015, Production end: 2017, Production ended: Yes. 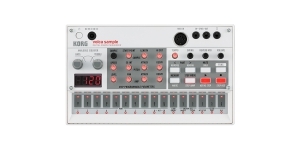 Many musicians - especially those who are into sound production but have to do it at home - dream about DSI Tempest or Elektron Analogue Rytm the prices of which are honestly snappish. Then they have that painful comeback and face their reality and are not in the mood to check their account. 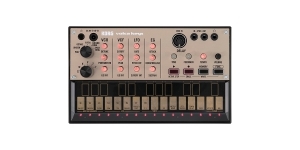 And a bit later they experience that amusing enlightment: the Internet allows us to find appropriate (concerning price and quality/functionality) variants of analog drum machines and any possible synth. Some of these instruments will surely give way to more expensive units but there are those great alternatives you can opt for until you earn enough to splash out.